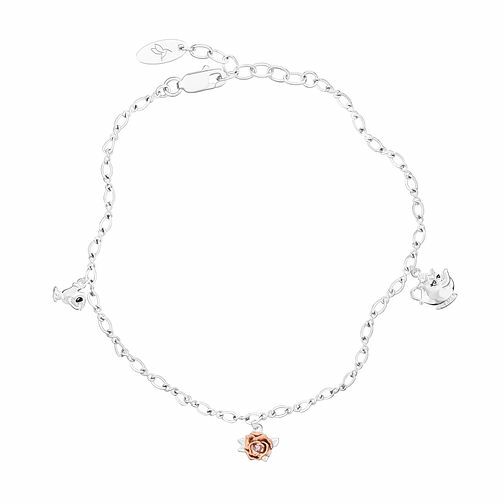 Helping to tell a tale as old as time, this sterling silver bracelet presents a trio of timeless Beauty and the Beast charms. From the rose gold plated signature rose, complete with shimmering swarovski zirconia set stone, to the adored faces of Chip and Mrs Potts. Bring the Disney magic to life with Chamilia, a fun and fashionable accessory for everyday wear.